Western perceptions of Buddhism in Myanmar are still largely blinded by the shiny golden mirage of the pagodas, and the assumption that Buddhists must be peaceful, loving and good. 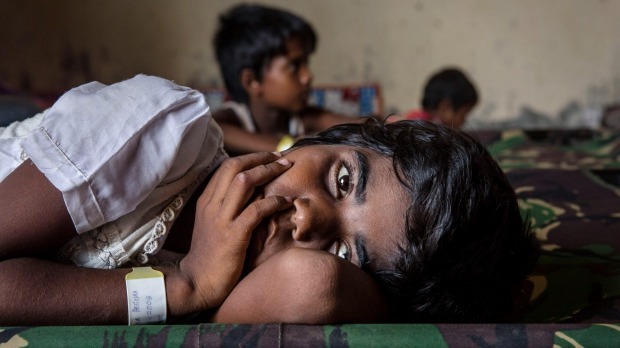 The debate on asylum seekers from Myanmar in Australia is ill-informed and skewed. The Australian government and international community must realise that refugee status is first of all not about ethnicity or identity, but about a well-founded fear of persecution. Reports that a man who has been moved by Australia to Cambodia may have been misidentified as Rohingya misses the point. Even if the man is not Rohingya, it is still possible that he has a well-founded fear of persecution as a Muslim fleeing from Myanmar. Since 2012, the anti-Muslim violence has affected a range of Muslim communities in towns right across Myanmar. The violence has not just affected Muslims who may identify as Rohingya. Muslim businesses have been targeted. Mosques burnt down, damaged and closed. Homes of Muslim families destroyed. Many Muslims have been injured and some killed. Muslims face discrimination in educational and employment opportunities. This is not new, but has a long history in Myanmar. At times, monks have been clearly implicated in this anti-Muslim violence. While the international community has seemingly confused all "Muslims" with "Rohingya" in Myanmar, this is not the reality. Most Muslims in Myanmar do not self-identify as Rohingya. The Muslim population is highly diverse, and many identify as "Burmese Muslim". It is true that Muslims in Rakhine State, some of whom identify as Rohingya, are certainly among the worst off and these communities have faced large-scale displacement and marginalisation. The humanitarian crisis is severe. 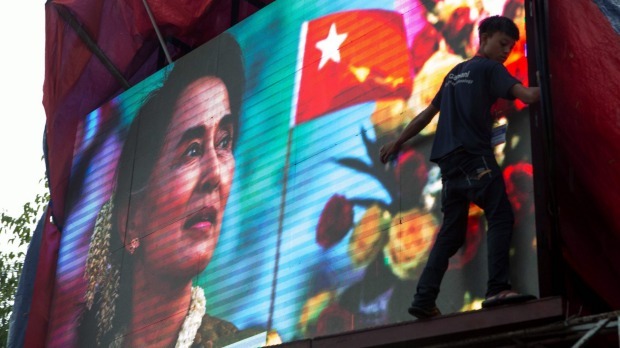 In addition, the recent Myanmar elections were the first time that temporary identity card holders, many of whom are Muslim, were not allowed to vote nor to run for political office. This was a serious step backward in terms of political participation, given that temporary card holders were allowed to vote and run for office in the 1990 and 2008 elections. I spent most of election day in downtown Yangon, in an area with a large Muslim community. While most of these people did have identity cards and were able to vote, fear and security concerns were paramount. Many did not turn out to vote, some said for fear of the consequences. Muslims are concerned that if more violence does break out, they will be the first targets. This violence and anti-Muslim sentiment has taken place in Myanmar as a majority-Buddhism country. Headlines of "monks turn violent" in Myanmar suggest this is something unusual and new. This is not the case, and denies the fact that monks have been linked as instigators and perpetrators of violence against Muslims in the past. Western perceptions of Buddhism in Myanmar are still largely blinded by the shiny golden mirage of the pagodas, and the assumption that Buddhists must be peaceful, loving and good. The teachings of Buddhism are one thing, the actions of Buddhists and monks are at times another. Taking a realistic look around the region at Buddhist-majority countries – from Sri Lanka to Thailand to Myanmar – would dispel the myth that violence is somehow unusual to Buddhism. In each of these Buddhist-majority countries, the minority Muslim community has faced tension and violence. Yet the West does not see this. Global concerns of the so-called Islamic State play into the stereotypes that Islam is violent and bad, and that in contrast Buddhism is perceived as peaceful and good. This is a stereotype that must be challenged. In addition, the reports on the Rohingya are ignorant of the fact that a large number of Burmese Muslims (not Rohingya) have settled in Australia since 2005. The Australian government significantly increased its intake of refugees from the Thai-Burma border since 2005, where up to 20 per cent of the refugee camps are populated by Burmese Muslims. These Muslims had their claims processed by UNHCR and were found to be legitimate refugees. While the West may think it is helping the human rights cause to condemn the treatment of the Rohingya in Myanmar, this too often overlooks the complex and contentious nature of identity in Myanmar. Moreover, it risks reducing refugee status to one particular ethnic group, when the basis for refugee status must firstly rest on a well-founded fear of persecution. Since the precarious transition to democracy, persecution has primarily targeted Muslim communities in Myanmar. Anyone who has fled Myanmar with a well-founded fear of persecution deserves to be accepted as a refugee. Dr Melissa Crouch is a Lecturer at UNSW Law School, and the editor of Islam and the State in Myanmar.